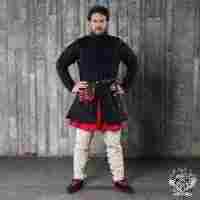 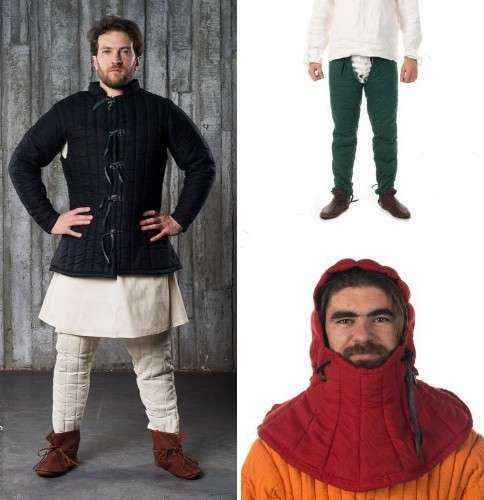 Simple and popular model of medieval gambeson of XI-XV century is suitable for usage for both, men and women. 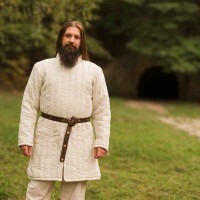 We use only 100% natural fabrics for gambeson manufacturing. There are two layers of padding in sleeves by default.